The Terrortorium is a Haunted Attraction located in Oxford, AL. 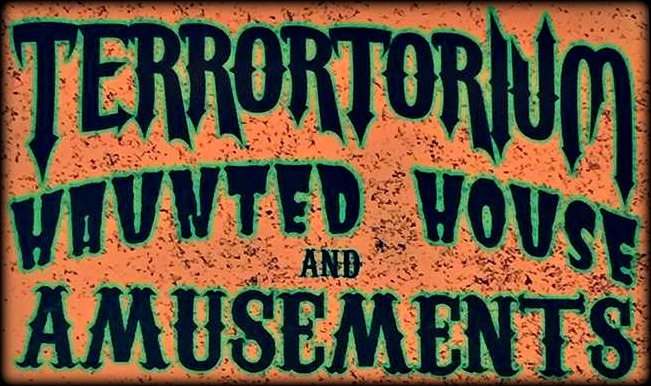 The Terrortorium Haunted House and Amusements is a “CARNEVIL” of Halloween fun and fright. Come brave the twisted corridors of the Terrortorium, take a spin on the Big Eli Ferris Wheel, and have a ride down memory lane on The Haunted Castle Dark Ride from the Original Miracle Strip Amusement Park of Panama City Beach! Something wicked, this way comes and we look forward to your visit to our “Midway of Macabre”.